2 vendors have this plant for sale.38 members have or want this plant for trade. They’re so easy and low maintenance, that it is inevitable that they’re overplanted. Spines at tip of foliage can be hurtful. Some sagos sucker and some don't. If cold weather is below average, foliage will die. I cut dead foliage in late winter and wait for fresh leaves to emerge. Plan location carefully as they very hard to transplant, with a tap root that must go for miles. Beautiful accent plant for the landscape. Zone 8B, 73 miles NW of Houston. Fronds will freeze back with a hard freeze. Plant away from walkways, spines hurt if you touch them. This is palm is hardy in it's coldest zone (8b) only in the sense of the plant itself not dying. The fronds will be anywhere from unscathed to completely burned away depending on the winter. Per my personal experience, they will start burning in the low 20's F, especially small specimens or leaves that emerged later in the season. Although cycads are amazing plants and quite a novelty, they are becoming quite overused in NW Florida being slapped into any landscape, even where they don't really fit along with more temperate looking plants. My 15 year old specimens have just now been getting the asian scale. The only thing that has kept them at bay has been very cold winters in 2014 and 15 where the infected fronds were burned off. Still, the scal... read moree insects will probably come back from other parts of the plant. Otherwise they are hard to treat and if anything require much applications of repellents. Other than the scale and cold problems, sago's also sucker and branch a lot when they get older, potentially making one plant into a whole thicket. You can dig up the offshoot or "pups" that develop in the ground next to the trunk to have new plants as well as more permanent removal, but I personally gave up on that years ago as they take a LOT of work to dig up. We now just cut them at ground level as they grow. Besides these few problems with sago palms, they are a great smaller growing tropical addition to your yard being compatible in so many situations. I have also found that they tolerate some shade: in these situations, the leaves will get darker green, a little longer and more jungle-like looking. Majestic and slow-growing plant that seems almost alien-like at times. The fronds have pointy ends and the stem has some wicked thorns, so pruning can be a challenge. Sagos put on an interesting show when fruiting/flowering that is sure to grab your attention. The male sago palm puts out out a fast growing vertical cone while the fruit from the females emerge through what looks like a round case full of pink eggs. Pet poisonings only occur if you have a female sago palm that has fruited. Even then, you can remove the pink fruits before there is a remote chance of ingestion. The fruits remain attached to the plant for months and no pet their right mind would push through the sharp fronds and spines to eat the seeds. In Phoenix, it is best to plant sagos in a somewhat shady area with plent... read morey of room, as their pointed circular frond pattern can reach a radius of 6 feet. Let the soil dry out with a deep watering schedule. Light applications of iron and manganese sulfate help keep the fronds green and prevents browning. What type of plant looks similar to the sago palm and has brown pine cones coming out from under the plant ? If anyone might know.. . Thank You !! Deadly to dogs if they eat any part of the plant. Toxic to grazing livestock; usually fatal if consumed. Toxic to people. Cycads have caused death in little children who ate the seeds. Brushing bare arm skin up against this plant caused me to get an itchy, red rash similar to a case of Poison Ivy. This very large, 15+ yr old cycad pl... read moreant was already here with the landscape when we moved in. Unfortunately, it's growing alongside parts of the yard that I use often, including a permanent garden bench. I got the rash by sitting on the bench in a short sleeved shirt. This large cycad plant is indeed beautiful, and very drought tolerant. But due to toxicity and skin irritant properties, we are going to remove it from the landscape as soon as practical. We have a dog and a toddler here in our home to protect from it. I have been growing a small (10" trunk) sago in a pot here in Eugene, Oregon. It has survived snow and several freezes for 4 years or so, uncovered. Every spring I cut off the old brown fronds and a new whorl grows in their place. There are two offshoots on the main trunk so far. I don't know if my specimen is extra tough, or our urban heat island helps to keep it alive. I haven't seen any other outdoor cycads here in Eugene, but they seem to do ok here. 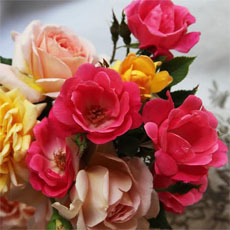 The toxicity of a plant should always be investigated prior to purchase and the risks evaluated. These are quite beautiful plants. Mine do very well and are growing quickly. All 3 have thrown on a new set of fronds twice this year. 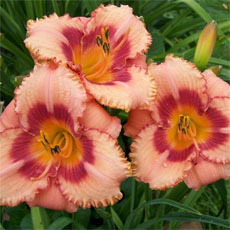 Mine burn easily with even the slightest hint of fertilizer, so I provide them only with water. I tend to coddle mine because I love them so. Usually a misting of water each day that I remember to do so, but mainly because they are under a queen palm that I enjoy misting. Most here on the border of 7b/8a have the fronds brown and die in the Winter, but they flush back out in Spring. Due to my constant vigilance, mine always make it through unchanged. I cover mine when temps go into the lower 20's (or below) but that is simply my preference. These cycads have bee... read moren around since the dinosaurs, and they just can't be beat. They are well worth the money, especially if you can grab them toward the end of autumn. An excellent plant. As always, discourage pets from chewing on or ingesting any part of a plant - and enjoy the beauty of the King Sago. My black Labrador ingested the bright orange seed pods that resemble bright orange peppers, only smaller in size along with the cone it grows in on Oct 28th. Approximately six hours later, he began throwing up. I was concerned and quickly did research on the internet to find that what he ate was highly toxic and deadly to dogs. I immediately went to the emergency hospital, where they treated him with 3 doses of charcoal after they got him to stop vomiting. The next day I had to pick him up and take him to our local vet. They kept him for observation, drew blood to check his liver levels at intervals and got him eating, drinking and making sure he was relieving himself. I was able to pick him up later in the evening and he appeared fine. Two days later I had to take him back to the v... read moreet to have his liver levels checked again and they were still within normal ranges. The vet said she thinks he will be okay, but the Dr. from the emergency hospital calls me and still insists he will have liver failure within two to three months and die. This upcoming Wednesday, I have to have his liver levels checked again. Currently, he appears pretty normal. He is eating and drinking well, but isn't 100% as active as he use to be prior to the incident. He is on a medication called Denamarin to support his liver. I've read so many stories on the internet from individuals who had their beloved dogs die from the Sago palm and I was wondering if your dogs appeared normal 12 days after getting ill and died weeks later. Have any dogs survived? This waiting and not knowing has been an awful experience. These palms are planted along the outside of our tennis and basketball courts next to our playground in our housing development. I've called the HOA and asked for them to be removed since they pose such a danger. I recently moved from PA to Fl and was unaware of this poisonous plant. Please pray for my Gulliver, I will be devastated if he dies. My 7 year old Sago was infected with Scale this summer. I do not use pesticides, fungicides, etc in my yard at all. Most pests have predators; usually the predators show up sooner or later & eat the pest. When nothing showed up to eat the Scale, I poured a strong 'tea' brewed from compost. That didn't work either, but a healthy mixture of New Dawn dish detergent & water poured over it did the trick . It put out new leaves last week & scale seems to be gone for now. I live in lebanon, connecticut and I have been growing sago's outside for about 10 yrs now. I have in all about 6 sago's planted outside by side of the house and in the back yard by the pool and patio. They are all doing sucessful and have not lost a one to freezing temps. When frost comes I cover them. And that's about it. They have no winter protection. My biggest sago is around 6 ft in height and my smallest is about 2 ft. My 6 ft sago I bought online few yrs ago. My neighbors are jealous that my sago palms survied in zone 6. I have 2 windmill palms by the patio and I have had success with those as well. I provided winter protection for those when the winter temps drop below 30. I don't ever worry about ny sagos. My neighbor tried having a sago outside all yr and it died. And aske... read mored what my secert was and I said nothing and planted in the gound and forget about them and water once a week when hot and every couple weeks in winter. A great indoor and outdoor plant here! I got one for my birthday and kept it indoors for a few years. Last year I took it outside, and in the winter I covered it with pine needles and a bucket. It survived!! The stems are still green and a few of the leaves as well. We got another larger one for indoors, hopefully I can take that one outside to as well. My dog thankfully stays away from plants so she never took a bite off of it; the only thing I'm worried about is my cat who likes to eat plants, but he stays away from this one thank God! I have to say at first I did not like this in my front flowerbed . But after sailing through the winter of 2010, temps about 10 degrees for about a week , Then sailing through the 2011 Texas drought . Wow I now love this . This year it seems through the abuse of drought and severe freeze it is getting huge . It flushed new leaves twice , I do not know if it was because of the neglect and abuse or if it was just trying to survive no matter what . Anyways all in all a great plant . Its like a cactus the more you mistreat it the more it thrives ! I plan to ignore the heck out of it this year as it seems to prefer neglect and abuse over pampering . I have over 400 different plants in my garden but this one seems to like abuse . I now have three and they are huge . They sucker like crazy but I ... read morejust take a shovel to the sucker, And plant it somewhere else . If you like palms , Live in a hardy area , plant this you wont regret it . I hate to be gruff or insensitive but only an idiot could kill these . In Central Texas they are like cactus , just plant and forget about it . Could not be more simple . They are very slow to grow . The only reason they are so big in my garden is because they are over 7 years old . My oldest about 10 is suckering again this year I plan to take a shovel to its suckers and plant all four suckers in four new flowerbeds . Anyways if you want a fool proof cant kill garden palm in zone 8b or below go for it trust me you cant kill it . To add to this Here in Central Texas we have not had the scale problem . Thank god I think I would cry . I dont think after all the abuse and neglect they have dealt with I would be able to deal with scale taking this out . It seems south Texas has the scale problem but I think our cold in winter keeps it at bay (HOPEFULLY) . I dont think I could bare to loose such beloved garden residents . For the adventurous temperate gardener out there, these things are relatively easy to get through the winter here in Kentucky anyway. Just mulch over the crown and set an old plastic planting container on top. I spray mine with a fungicide before covering up and after uncovering just to be safe. They may be discolored in spring but the plants bounce back pretty good and you don't have to drag 'em in for two or three months. MY MATURE SAGO IS GROWING 4 LARGE YELLOW TUMORS OUT OF THE TOP. WHAT SHOULD BE DONE? I have two highly bred Labrador retrievers that I have spent many thousands of dollars on in training and what not. This weekend both of them ingested Sago Palm. Fortunately I found out quickly why they were vomiting profusely and rushed them to the vet where they remained for two days under IV's with multiple rounds of poison control medications and liver treatments. They're both back home now but I won't know for another week or two if there is any permanent liver failure. I HIGHLY recommend if you have one of this in a yard with dogs that you dig it up and put it someplace they can't get to it. With a 50 to 75% mortality rate, I got (at least so far) really lucky. These are my kids and I almost lost both of them because of landscaping. I haven't tried overwintering these plants in the ground yet, but I do have 2 potted ones that are put on the deck and taken inside during winter. Although the plants are dangerous to pets, they do look quite nice potted on the deck. As long as I keep them away from our parrots they are no trouble at all. And they certianly stand out among the other potted plants! I moved to Texas from Maryland four years ago. 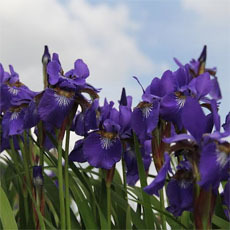 When we first arrived, I was excited by the new plants available in the warmer Texas Hill Country climate (7b or 8). Sago palms were selling for $17 at Walmart, so I bought two. They were about 15 inches in diameter. I planted them in the shade, not realizing that area of our yard, up against the house, gets little sun. One plant gets 60 minutes of sun in the late afternoon; the other about 90 minutes. The more shaded plant is slightly larger. I get TWO sets of fronds each year -- spring and fall. The plants are 4 feet across, now. I cover the Sagos with sheets on nights expected to be below 40 degrees, and the fronds have come through the winter months with absolutely no browning. I did notice the fronds were yellowing slightly this... read more past summer, so I gave the Sagos iron and they recovered their former dark green color. 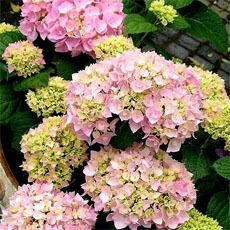 I use acid-type fertilizer in the spring/fall, as our soil is alkaline. We have drip irrigation, and the plants get two 15 minute waterings a week; in the winter, I back off to once a week. I was unaware of the toxicity of the plant and seeds to dogs. I have two dogs and a cat, but have never noticed them paying any attention to the Sagos. My plants have not produced a cone, but the first signs of one, and I will remove it; if that's not possible, I'll remove the plants, no question. They are lovely to see, and have no pest problems, so far, here north of San Antonio. As several have noted, the seed or any part of this plant is incredibly toxic to dogs. I lost my dog who only chewed briefly on a seed pod. I had no idea how toxic it was but I took him to the emergency vet after he vomited for an hour and was becoming lethargic. The vet told me to expect the worst. Here in Houston, the sego is literally everywhere (far overused) so our vets have a very high exposure to sego poisoning in dogs. More than one vet here has told me they have never seen a dog survive exposure to a sego palm seed pod. My pup lost a horrible battle, that was 2 years ago and the ordeal is still fresh in mind. If you have one and you have a curious dog, cut it down. Burn it. Every time I see one in my neighborhood I want to grind it to a stump. The good thing is that Houston is le... read morearning and our local news has even done an expose to make people aware. I have three of these cycads, and I absolutely love them. I have two small ones in a windowsill and a larger one that lives outside in the summer and comes in for the winter. The larger one goes into my toxic plant cage to make sure the dog doesn't try eating it. They're easy to take care of and I neglect them more than I do my cacti. The worst thing about them is when people mistake them for palms, and if I correct them, I have to explain what a cycad is. I'm thinking about getting a bonsai gingko and possibly a conifer to go with it to have a nice little gymnosperm collection. These plants Kill beloved family pets. Nothing more is needed to say about this plant. They Kill and break hearts. Horrible , painful, aweful way to die. Smedland, I'm so sorry to hear about your loss. ;-( There was mention of the toxicity a few comments down from yours. I read this when I purchased the plant, (thank goodness) and the sago is my bedroom, rather than the main living area for that reason. I have always wanted one of these beauties and am very pleased with it so far. I'm planning on keeping it on the smaller side, indoors. WARNING!!! This plant is HIGHLY TOXIC TO DOGS!! If you have any doubts, just Google "Sago Palm, Poison, Dog." Also, the ASPCA jsut came out with an alert re Sago Palm poisonings on August 1, 2008. In that alert, they state that incidents of 'reported' dog poisonings from Sagos have increased 200% since 2003 and, in 50-75% of those cases, the dog died. Our family learned the hard way. Our 1 yr old German Shepherd got into a plant I had just purchased from Costco. That was around 9:30pm. I had no idea of the toxicity of this plant and put her to bed. When I woke the next morning at 7am, she had labored breathing, couldn't walk, her eyes were fixed and dialated, and she had lock jaw. I rushed her to our Vet (who was unaware if of this plant's toxicity - ditto for the Emergency Vet he sent us ... read moreto after trying to treat her). Less than 26 hrs after eating this plant, she was dead, but not without suffering an incredibly horrible death. Had I known what her prognosis was when I originally brought her to the Vet, I never would have put her through all the unnecessary suffering. Had I known in advance about this plant, I never would have purchased it in the first place.Also, I came across some postings on the internet that even brushing up against this plant can cause serious skin reactions in humans. (FYI - if you only Google "Sago Palm", all you'll read it how wonderful this plant is. I have yet to read a posting by a grower, nursery, or other landscape-related professional, about this plant's dangers. Also, very few Vets are knowledgeable of it's toxicity). Really a unique plant for which there is no substitute. I haven't had a scale problem since last summer after 2 treatments with horticultural oil (which is pretty expensive). I sprayed again in April just in case. My 40 year-old sago in partial sun grew very little after pulling out the infested fronds last year, but this summer it responded beautifully to Scotts Bonus-S lawn fertilizer and a sprinkle of manganese sulfate, which I learned about on these forums. I have had my cycad now for 7 years . Living in NJ I have to bring it in the house in the winter I keep it in my "Sun" room which has a south facing bay window and two large skylights that I can vent. The temp. in this room is around 68 in the winter. I keep the cycad dry only watering once a month as I had killed and earlier plant by watering to much in the winter. In the spring around the end of May I put the plant outside for the Summer I place it in full sun on the south side of my house. It always does well there. Sagos only grow a new flush of leaves from the center of the trunk ( which looks like a large pine cone) once a year. When I see this growth I start watering, in the warm weather it can take a lot of water but again let the soil dry out before watering again soggy roots ... read morewill be the death of this plant.I fertilize my cycad once a month with miracle grow during thr growing season. When the leaves first come out, they are very soft and prone to damange so keep away from high traffic areas the leaves will harden after a week or so. The Sago Palm is one of my favorite plants. Just as a point of interest this plant has not changed in Millions of years! It is one of the oldest known plants on the Earth. For the first time I was pleased to see that my plant this year is growing it's first off shoot! It looks like three little leaves growing next to the parent plant. One must have patience when growing this plant, everything about it is SLOW!! However it is a thing of beauty and is very rewarding to watch your Cycad respond well to your efforts! One word of caution, all parts of the Sago Plam is highly toxic! Please keep this plant away from small Children and Pets who like to chew houseplants! The colder your winter the hotter your summers should be to grow this cycad. In the bay area it's the cool summers not the winters to worry about. Some observations of Cycas revoluta...full sun is required in the bay area..in hot summers areas they look very fern like in part shade. Don't crowd them.They dont like root competition. 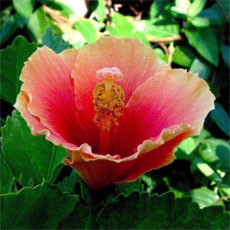 The best are planted alone or are featured garden plants. They can skip years in flushing,so do not toss out! Fertilize. They look their best fed regularly.Or else they have a tendancy to get chlorotic. Size? the largest i have seen in the B.A. has 6' of trunk. Interesting that the plant has stunted, 2' fronds. I wonder how many owners that plant has seen in it's lifetime and seems to be waiting for a new owner who knows what they are doing as someone did... read more in the past! I want to mention that they can make treasured Bonsai in warm climates.In the B.A. it's difficult since they flush so little in a Bonsai pot and the full sun they need requires expert care and careful watering. Tricky to maintain is the phrase that fits best. No pests on outdoors plants here. Clean and green they grow. i love this plant. potential trunk hardieness down to 0 F(dont expect the leaves to survive.) slow growing. even slow to germinate. i bought three seeds 9 months ago and they just started to sprout. i also bought a sago at my local walmart for $14.00 and stuck it out side in the ground. i was surprized to find 5 new fronds sprout in a ring. dosent seem to mind clay soil. hoping for even more growth this summer. The first one I had died. I think I might have over watered it, so with my second plant I go very easy on the watering, and it seems to do well with that. Its in a window which gets some direct light, but not much. Mostly it gets bright ambient light, and it dries out between waterings. We have 4 Sago palms now and they are all pretty. Two of them were much larger plants when purchased, and one of those now has a beautiful bloom- 14-16" tall and yellow-gold in color. It is my understanding it is a male sago. I don't know of any reports of troubles with them in our area. My only trouble is that the blooming one has got to be moved- but I will wait until the bloom is gone. We killed this one, which is hard to do, with malice and forethought. Very hard to live with, especially if it is near a place you walk, sit, etc. Ours was under a mulberry tree and fall cleaning was a headache we avoided until we simply could not any more. I gave the babies away to others who happily took them, I am just glad it is out of my hair. I mean yard. Now we joke at nurseries we visit, "Look honey, we could get a Sego for just $49.99!!" 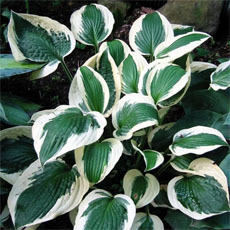 This tough and beautiful plant is long proven in zone 8b throughout the southern U.S.; hardiness is slightly variable throughout populations of this species, and though some plants will show leaf-damage in the low 20s F in exposed areas, others are unaffected: On most plants, foliage remains green down into the teens, especially if grown in some shade. The stems are much hardier, and many very old plants survive in Natchez, Mississippi; on Louisiana's "river road"; and elsewhere in zone 8b where temperatures have plunged to between 5 and 10 degrees F several times in the last 50 years (e.g., 1989). Great attractive fronds. Available in tubes for around $5 AUS. pokerboy. Lots and lots of Sago's here in San Antonio. My own King Sago is about 5 years old and doing very well and getting quite large. I used to live in Florida and I grew many Sagos ( Cycads) the King and Queen.They grew pretty fast for me. I trimmed the leaves back several times a year. Even tho it isn't a true palm, Vigero palm fertilizer is the best i had found for it. I contains a certain element it needs. As far as the scales went, i used the Ultrafine spray oil to smother the scales. They do live in the dirt too. I first thing i would do is trim the infected leaves off so i could see how it was doing. You will have to spray it every 10 days to get it under control. I did grow one from seed......but for me it is easier to pull the pup off and put rootone on where the roots would be, then pot it. sometimes i put sticks around it to hold it in place while it rooted. I did transplant a 5 foot Queen Sago ... read moreto another spot in my yard. I asked the Master Gardeners there if it was possible. They said they didnt think so...but i did. And it loved it better where i put it. There is a trick to transplanting them to another area. I have found that sagos grow faster if given a diluted acid-loving plant food (Camellia-Azalea food). I use a liquid because it's easy to dilute, but be sure to deep water occasionally to wash away the mineral/salt build up and avoid tip burning. I have a couple of Sago Palms growing in my yard. I am in Zone 11 (Guam) and the only frustration I have with them is their really slow growth, even in perfect conditions. We just had the Asiatic scale disease come to Guam for the first time and has spread enormously. It has been a couple of months already and those Sago's that were first infected seem to have recuperated and are putting out new leaves. I know for a fact they have not received any spraying as the first ones I noticed were on an abandoned lot. So maybe, its just a cycletic thing. I've got an attack of the Asian Cycad Scale in Tampa as well. These grow well here and have had success in rooting from "pups" and from seeds. It's a common misconception, the majority of people think a Cycad is a type of palm. A Cycad is in no way related to a palm other than the pinnate appearence of its evergreen fronds. It's true that a Cycad is actually related to coniferous plants like pine trees. The fonds are "needle" like, similiar to pines. Cycads are of course less cold hardy than conifers, but it is related to the cone bearing plants of the north. Cycas revoluta, is a Cycad, which has been around for over 250 million years, before the first palm trees began to grow on Earth. Cycas revoluta is found fossilized in a lot of rock throughout North America. Cycas revoluta is also cold hardy down to 15F, it can take temps below 20F. I am growing sago palm in a semi shaded location in mid-town Sacramento and it just put out a fabulous crown of new leaves. Before it was in sun and the leaves got burned. It also gets regular water from the sprinkler but as it is very tight in a deep pot, the water tends to run right through. I used cactus mix soil but have not repotted it since last year. I was outside all winter and I almost threw itaway because it looked so ugly. Now it looks great but I am afraid to repot it or change anything! Very slow growing but quite showy when plants are large. I am not truely sold on this palm, I like the taller date, coconut palm types better. I keep mine indoors away from direct light..and water only about once a month, however I mist frequently..seems to do just fine on the dry side. Here in Corpus Christi we also have a huge scale problem. I have spent over $30 for sprays trying to save two sagos and am not sure they are going to make it. Two others are not infected. I don't think the plant is worth all the trouble. Will probably have them removed. Most people are just opting to rip their sagos out of their yard because they don't feel like making a weekly commitment to spraying them and the surrounding ground. The scale will come back even if you get rid of it. It's airborne and too many people do not realize they have it. Sago Palms can be pretty and all, but if I had to have one I'd keep it in a pot on a glass lanai. ... read moreWe've put a stop on selling the Sagos until the scale epidemic is under control. Too many people don't realize those little white, round specs all over their sagos are scale and not part of the plant therefore, they are paying no mind to the seriousness of it while infecting their neighbors Sagos (and Birds of Paradise and Traveler's Palms, to name a few), which has happened to customers who brought in samples and showed us. I live in Murfreesboro, TN (USDA Zone 6b). Two years ago, I planted in my yard two Sago Palms, about a foot tall each. The first winter was relatively warm for Tennessee and the plants survived with some protection with only some burnt fronds. Last winter was a bear - several snowfalls and two nights at -4°F! Then came Spring 2003 and no sign of life from the Sagos, so I threw several layers of newspaper over them and four inches of mulch for a proper burial. June 2003 came and one day working in the bed there they were - my Sagos had pushed up thru all the layers of newspaper and mulch and were alive! A pretty carefree addition to our container garden. 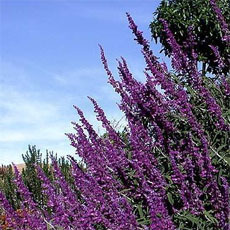 They thrive inside or out here, year-round and are a patient plant for the new and/or unattentive gardener. Unless you want to sentence yourself to spraying this plant with fish oil and the like DON'T PLANT IT! We have a scale insect that has taken over these cycads in the southern Florida areas. To date, there are only supression methods that marginally help. I tear these out and replace them whenevr I can. It's a shame, but they aren't worth all the trouble, not to mention they tend to be overused and misplaced in the landscape down here. I have an 8 year old Cycas revoluta grown as Bonsai for one year. It just pushed a fresh flush that looks fine, but the last flush suddenly curled, twisted and contorted. The color is still fine, but the leaves are brown at the tips (not the individual points, like a manganese problem). Just a brown clump that falls off. The previous flush is perfect, and the current one is too, but its just that second one. Have a nice Sago Palm growing in a pot on my deck. It has been growing in the pot and outdoors for the last 5 years here in Western Washington state. It is rather slow growing but think alot has to do with our cool nights even in the summer. It has wintered outside year after year. I just move the pot up against the West side of the house for some Winter protection. Has survived many frosts and even a snow storm or two. 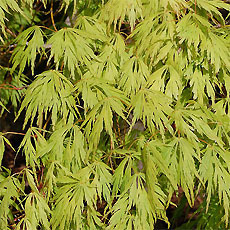 Foliage is glossy "plastic" finish in a deep green. Did have to give it some iron chelate to get the leaves to be nice dark green. No pest problems with this tough old fossil. I bought a Cycas planted in a 2 or 3 gallon pot in February. It developed nicely over the summer, grew a new set of larger leaves but for the past 3 weeks it has become sick. Some of the leaves have discolored portions of light green, some turned light brown, others reddish brown ... One person recommended palm fertilizer but it doesn't seem to help. Used anti-fungal spray on the leaves about 2-3 times a week, but more fronds turn light brown. Since I saw the first signs of this disease took the plant indoors but I have not noticed any improvements. A few years ago the leaves of a ficus plant turned brown in the fall (September/October), and I had to cut lots of them and took the plant indoors. Then the disease stopped. In that case it was virus for sure. Cycads are extremely tolerant plants and are also very slow growing. The good thing about being slow growing sometimes it a plant can take a lot of abuse while 'not growing' and weather it fine. Some of these cycads can be burned in raging forest fires.. and as soon as things cool off, a new flush of leaves pops out. In fact, some species of cycads require a good burn now and then to pop out a cone (their reproductive structure). The reason a Sago Palm weathered the winter in total darkness was because it wasn't doing anything. It has lots of energy stored in its caudex to survive long periods of drought, dark or whatever. The fact it was watered probably was a good move, since it may have rotted otherwise. Plants that aren't in the process of growing... read more and metabolizing much often rot if placed in wet, especially cold, situations. Sago Palms have been raised for many generations on Japan and one of the reasons they have been is they survive hundreds of years. It gets very cold in Japan (some places in Japan) and the routine of storing the family Sago in a dark, dry place over the winter has been going on for hundreds if not a thousand years. Works for them, it should work for you. As noted above and below, this plant is a cycad, not a palm. The two are not even closely related. One is gymnosperm (this plant) and palms are flowering plants (Angiosperms). Cycads like this plant produce cones as their strategy for reproduction. Many incorrectly identify the female cone as a large flower, but cycads do not produce flowers at all. This species is probably the most commonly grown of all the cycads thanks to its amazing tolerance of so many different conditions and ability to tolerate an amazing amount of abuse. They are easy to germinate from seed and, though very slow growing, tend to grow steadily for hundreds of years in most warmer climates (they cannot survive climates where the temps drop way below freezing for any length of time). Also as discussed above, this plant, like all cycads, is quite toxic, producing a number of nasty compounds, some of which are pretty damaging to the liver. 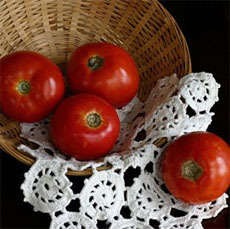 The seeds are the parts most likely to be eating by children and pets, and sadly they do not taste too bad, unlike most toxic plant materials. In fact, I have heard the seeds can actually taste rather good (at least to dogs). So if you have a larger female plant and you have curious dogs, I would remove the cones as soon as they mature so there is no chance your dog will eat the fruits. Though the entire plant is toxic, few dogs eat many leaves as they are plastic-like in consistency and supposedly not that tasty... still, some dogs might consider these chew toys and make themselves fairly ill. The toxins are not the most lethal in the plant kingdom by far, but the lack of a bad taste make this one of the most dangerous for dogs and children (most very toxic plants taste horrible). If you dog eats some cycad parts, get them to vomit as soon as possible. dogs that start vomiting on their own often have absorbed enough toxins that their livers are already badly damaged... not all die, but the longer there is between ingestion and treatment, the poorer the prognosis. I have only lost one patient out of dozens so far, but all these belong to owners who seemed to figure out what was going on soon enough to do something to intervene. Still, it is a pretty guarded prognosis if your pet is sick from eating a cycad. My best friend (from Lorain,OH...zone6 or 5a-b, whatever) lives in Florida for 6months of the year. Last spring (2002) he brought home a sago palm in a 2 gallon pot. It survived through the summer and fall. The interesting thing is that when he returned to Florida that October, he stored it in his garage where it over wintered ... in practically total darkness. And it just so happened that the Winter of 2002/2003 was a very cold winter. To my friend's surprise (and mine, as well), the sago palm survived WITHOUT ANY DAMAGE whatsoever! The leaves were dark green and very healthy looking ... no discoloration! It may have been watered only three times while over-wintering in the garage. It looked as if it had been growing under perfect conditions. This spring, after the dang... read moreer of frost (May 15th or so), he placed it outside in a partly sunny location ... with more afternoon sun. This month, new growth appeared (7 or 8 new leaves). And, so far... so good! Cross your fingers for this upcoming winter! Soak seeds in a bucket of water for a couple of days. USE RUBBER GLOVES to remove the outer flesh as the orange flesh will stain your hands! After being cleaned, the seed is good if it does not float to the top. I've had best luck laying the seed sideways and and only covering half way. Keep it wet by bottom watering until a frond appears. The pup will form from underneath and the seed will eventually fall away. I had a beautiful sago in my sunny Hawaiian front yard that started out as a potted plant. In a dozen years it had a trunk of 5-6 feet and many "keikis", or offshoots. It was the showiest plant in my garden, with deep green fronds that spilled out in all directions. Sadly, a couple of years ago, it got a blight from whiteflies. I tried lots of suggested remedies, but was warned it was probably hopeless. It was, but I'd like to start over with another. When fronds get killed back by severe cold temperature remove them when new growth appears. The old fronds tend to lie back then making the job easier. Remove offshoots while still small in order to give plants room to develop to their natural shape. Given sufficient water these plants will live and reproduce for many, many years. I live in Jacksonville, Florida. My yard is part shade/part sun & have one sago about 3' tall, another about 2' tall, both growing in the same area of my yard. This past winter we had 19 degree weather with wind chills much lower. The 3' tall sago I didn't cover at all & it fared the harsh weather beautifully. The smaller sago I covered and it had noticeable damage & doesn't seem to have grown at all this year. From now on I will leave it be. We raised many of these palms from the babies which sprang up under our neighbor's Sago Palm. We gave most of them away to others. The ones we kept, grow fine. Here in Louisiana, this is a popular plant found in most Catholic church yards. The fronds are cut every year to be used in their Palm Sunday church service. You can find reference to it in the Christian Bible, John 12:13. After such a severe pruning you'd think the plant whould suffer damage! To the contrary; it seems to help it grow more beautiful. It replaces all those dark green fronds that were cut away, with lots of fresh new light green ones. It gives the plant a pleasing shape, also. I had been told that this plant only put on new leaves once a year, in the spring. The one on my porch (in partial shade with an eastern exposure) has doubled the number of leaves it had when I bought it. I am in zone 7(b) - central Arkansas - and plan to over winter the plant in my garden shed, as I understand our winter humidity rather than cold temps can zap the crown. My Sago Palm has survived 14 years as an outside plant here in coastal South Carolina (Zone 8-b). There have been a couple of times when the fronds were killed back by 20F temperature, but new fronds have always developed the following spring. This year, the plant survived 15F weather for 3 days, but the plant had been covered with a sheet for some modest protection. IN India, the seeds from the cones are collected and then dried and ground. They use the "flour" in cooking bread. My Indian HOUSEBOY from Kerala shared this info with me the other day......It is amazing how interested my household has become in plants! Another very interesting feature about the Sago is that it is known to have survived for over 200 million years! This just boggles my mind. I suppose there must be other specimens on the earth today decending from a very old age. I would be interested in knowing about others...I find it very easy to maintain....it is potted inside my apartment and goes in the shower and drenched ( and get cleaned off ) when it becomes quite dry. It has full sun and in the winter monthes it is under a grow light. Yes, they are very slow growing. Although many think of the Sago as a plam, it is not a palm at all. It is in the Cycadaceae family. Sagos are a very slow growing plants and are very tough. They can tolerate up to 15*F without damage. They do however get leaf spot in areas where heavy rainfall occurs.